An outstanding description of the various growth phases of personal and spiritual development, including the meaningsful crises that many people experience on their path to a greater inner enlightenment. We need to find two different kinds of meaning: the meaning of our own individual existence, and the meaning of the world we live in – ultimately of life itself. Our first concern as developing individuals is the search for meaning in our personal existence. Whether as a child learning to walk, as a student struggling with a mathematical problem, or as a businessman closing an important deal, our experience of this personal meaning is similar. When we succeed in achieving a goal, we experience ourselves and our lives as having greater significance and value. Accordingly, we seek to accomplish larger and more important goals, and in so doing we develop our capacities and added to our skills and knowledge. This pursuit of personal meaning and goals leads us to grow as human beings, to form and increasingly well-integrated, creative personality which is more and more effective in the world. This process takes place along what we may call the personal dimension of growth. But as the scope of our active involvement in the world increases, we find that our sense of world meaning also needs to grow. We leave the shelter of home and go to college, or we leave school and go to work, we get married and raise a family, we seek to make a worthwhile contribution. At each step, experience calls on us to clarify and deepen our values, to explore, to re-examine the beliefs we live by. If we respond to this call and pursue the quest far enough, we will eventually be concerned with such self-transcendent questions as: “What is the true nature of the world?” “Can there be a peaceful and loving humanity?” “What are time, space, consciousness, good and evil?” “Is the universe evolving in a positive direction?” We may approach questions of this sort intellectually, seeking insight into the truth, or we may reach for a direct experience, an expanded awareness that we hope will reveal the meaning and purpose of the larger reality. This search will lead us to the transpersonal or spiritual dimension of growth. The personal and the transpersonal dimensions are distinct but not separate. Both are natural to human unfoldment. But generally a person will tend to be more in touch with one dimension, experiencing it as more real, more important. He may then tend to undervalue the other, and even to be critical of someone else who is oriented toward it. The “western” view values most highly the person who is a strong individual, who can fully invest himself in his activities, function effectively, accomplish tasks and in general demonstrate skill and success in handling the practical realities of life. With his strong intentionality, he orients all the many aspects of himself toward a unified focus. He wastes little time and effort in internal conflicts, ambivalence or confusion. Accordingly, he has much energy available for the business of achieving a rewarding and productive life. To him the transpersonal dimension is likely to be a secondary concern, possibly considered a distraction from what is most important. On the other hand, what is commonly described as the “eastern” view values most highly the individual who cultivates the inner, spiritual life. Emphasis is placed on achieving clarity of vision, serenity, love and compassion, a sense of joy and harmony, and ultimately oneness with all life. To reach these goals the individual develops the ability to master his inner processes and to expand his awareness. It is considered necessary to simplify or even largely transcend daily life and the material world, attachment to which is seen as a distraction from what is most important. Thus the person who leads a contemplative life is most revered and valued—the wise sage, the guru, the ascetic. Despite the age-old tendency of people—and even whole cultures—to emphasize one dimension to the exclusion of the other, the possibility of unifying both has been splendidly realized by certain individuals throughout history. The foremost mystics, for example St. Francis of Assisi and St. Teresa of Avila, having achieved illumination , actively expressed their vision and their values in the world. One may also think of the great world teachers—for example Christ, Buddha, or Moses—all of whom became actively involved in the practical realities of their day. On the other hand, many of those most successfully concerned with the study of the material world—great scientists such as Newton or Einstein—were led by the very nature of their explorations into higher and higher spiritual realms. Such illustrious figures of the past have pointed the way toward the needed synthesis. In our own times, increasing numbers of the many people involved in spiritual life are realizing the need to develop well-integrated, capable personalities in order to make their spiritual values work. And more and more people who have been successfully expressing themselves in practical ways are reaching for the transpersonal to find deeper meaning, more certain direction, and greater effectiveness. 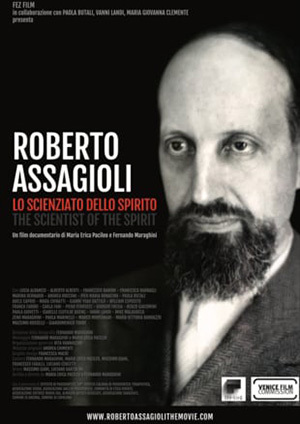 Similarly, Roberto Assagioli has recognized and developed two inter-related aspects of psychosynthesis: personal psychosynthesis which aims at fostering the development of a well-integrated effective personality, and spiritual psychosynthesis which leads to realizing one’s higher nature. Transcending self-actualizers in addition to being well-integrated, healthy and effective, possess a number of other characteristics. Maslow lists 35 groups of them. (A. Maslow: “Various Meanings of Transcendence,” Ibid., pp. 269-279.) For example, they are innovators and pioneers; they have a stronger sense of self, and yet at the same time are capable of transcending the limitations of personal identity; they have a sense for eternity, for “the sacred”; they value and are more easily aware of truth, beauty, goodness, unity. But before we can unify the two dimensions in ourselves, we need to develop them. Whether we develop both simultaneously or first develop one and then the other will depend on many different factors, such as our individual makeup, our awareness, our environment, and so on. In practice, people often tend to proceed a long way primarily on either the personal or the transpersonal dimension before even becoming aware of the existence of the other. If we feel more drawn toward one of the two dimensions and this seems right and fulfilling to us, clearly it is the path for us to follow. But at the same time, we will find it helpful to develop and maintain throughout, the awareness of the other dimension. Experience has repeatedly shown that if we proceed too far in one direction only, sooner or later we will need to become more inclusive and bring in the other. When that time comes, we can do so through a conscious, deliberate choice, provided we have the awareness and the understanding to recognize what is missing. Otherwise we may fall into a crisis of reorientation, one which will eventually lead us to the missing dimension, but often at the cost of much time, effort and pain. So whatever path we may be following as individuals, it is best to keep in mind the whole picture—the entire “territory” of human growth. In this article, we will look more closely at both the personal and the transpersonal dimensions of growth: at how we experience them; at the crises of reorientation that may occur if we proceed too far along one dimension exclusively; and at how we can increasingly unify the two dimensions in our lives. From the moment of birth we experience urges and needs which motivate us into activity. What motivates us at any moment is the sense that there is something worth achieving, something that has value and meaning. Our first and most basic meaning lies in simple physical survival. However, when this need is satisfied we do not merely sink into contented satiety. Rather something else arises, some new goal that has a different, or greater meaning. To fulfill these goals we successively develop various aspects to our personality. As children we see that it is meaningful to master our body, to have physical competence, so that we can act effectively. The child’s relentless urge to gain the ability to walk, his persistence through frustration after frustration, and finally the joyful elation that comes with success is a beautiful example of this process. As we grow older it becomes increasingly meaningful to establish satisfying and warm relations with others. We learn to experience and share sensitive, deep emotions. During adolescence, relations with our peers, and particularly romantic relations, become the most significant focus of our life, and consequently the subtlety and richness of our feelings may flower. During later adolescence, in response to the desire to understand ourselves and learn more about the world, our interest often shifts to developing the mind. At first, this motivation is likely to be based on simple curiosity. Gradually, however we may become more and more involved in the pleasures of learning, and develop increasing mental discipline. When this happens, the mind takes a central place in our life. With adulthood, we may find that in order to most effectively achieve the goals we set ourselves—whether pursuing a career, raising a family, or attaining success of any kind—we need to coordinate and integrate all our inner resources, so that they are working in a unified way and in line with our aims. 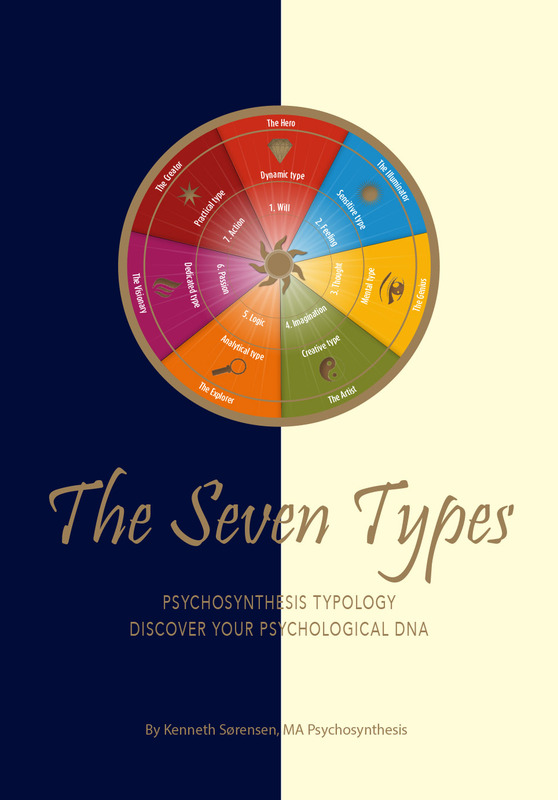 (The “stages” Vargiu describes can be applied not only to subpersonalities but also to the integration of body, feelings, and mind, and of any other personality element.) Our feelings must be developed and harmonized so that we can avail ourselves of their energy and relate to other people in a satisfying way. Our mind must be further trained so that we can think creatively, flexibly, and with the power to do broad planning as well as work with specific details. Finally, body, feelings, and mind must be harmonized and integrated with one another so that they can work synergistically. In practice, development and integration of the personality does not always take place so easily or so completely. The body may be unhealthy, lethargic or hyperactive. The various feelings may be in conflict, they may be underdeveloped or overly intense, they may be ridden with inhibitions, anxieties, depression and fears—all of which interfere with full functioning. The mind may be too rigid or too unstructured, it may be untrained, overactive, out of balance toward the abstract or toward the concrete. Finally, all of these functions may not cooperate with one another. The mind may ignore both the feelings and the body. The feelings may cause stress and strain on the body, or might struggle with the mind about what is important, and so on. The full, harmonious integration of the personality functions is a long process, a goal toward which most of us are still working and moving. It is this process of integration which is represented by the horizontal arrow in our diagram. deficiencies of specific personality functions, or with conflicts between them. The best approaches to self-actualization that have appeared in recent years generally aim at the positive development of particular aspects of the personality, and contribute to their gradual integration into a unified, dynamic whole. There is as well the growing recognition that self-actualization consists not only in the harmonization of all the aspects of the personality, but also in the gradual emergence and empowering of the “I,” the center of personal identity. It is through the action of the “I” that the personality aspects are harmonized, so that the integrated personality gradually forms around it. As we have seen, whether or not we deliberately seek self-actualization by means of the various approaches available, it goes forward naturally through the pursuit of meaningful goals. In recent times, more and more people have achieved a high level of self­actualization, and have become able to reach their goals with increasing success. This has led to an interesting phenomenon. Many people, when they have attained their personal or career goals, find that the satisfaction, the value, the meaning of these goals is less than they expected, and so eventually abandon them. And they often abandon them just when things seem to be going best for them, when they appear to be the most successful. Often, such people may take up a new, perhaps completely different pursuit—one that they believe will be more meaningful than the previous one. But as each new goal is successfully achieved, it also is likely to encompass only a limited or temporary satisfaction. Paradoxically, the greater the success, the more one is faced with the experience of finding out what was expected to be highly satisfying turns out to be uninteresting and empty. The person now begins to wonder if he is ever going to find fulfillment. An increasing sense of meaninglessness pervades all of his normal activities. Pastimes and interests which he formally found rewarding do not bring the same pleasure they did before. His family, friends, and career simply do not interest him as they had. As this progresses, the person may experience at various times apathy, fear, and even despair. What is missing in his life? He has a strong identity, a well-integrated personality, and can function very well in the world. He is not neurotic; he has more than successfully attained the level of functioning termed “normal” by modern mental health standards. Logically he should be happy. The nature of this crisis and the pattern which leads to it is illuminated by Leo Tolstoy’s striking account of his own struggle. Five years ago something very strange began to happen to me. At first I experienced moments of perplexity and arrest of life as though I did not know what to do or how to live, and I felt lost and became dejected. But this passed, and I went on living as before. Then these moments of perplexity began to recur more and more often…They were always expressed by the questions: What is it for? What does it lead to? At first it seemed to me that these were aimless and irrelevant questions. I thought that it was all well-known, and that if I should ever wish to deal with the solution it would not cost me much effort: just at present, I had no time for it, but when I wanted to I should be able to find the answer. The questions however began to repeat themselves frequently and to demand replies more and more insistently…I understood that it was something very important; and that if these questions constantly repeated themselves they would have to be answered. And I tried to answer them. The questions seemed such stupid, simple, childish ones; but as soon as I touched them and tried to solve them I at once became convinced, first, that they are not childish and stupid but the most important and profound of life’s questions; and secondly that, try as I would, I could not solve them. Before occupying myself with my Samara estate, the education of my son, or the writing of a book, I had to know why I was doing it. As long as I did not know why, I could do nothing and could not live. Amidst the thoughts of estate management which greatly occupied me at that time, the question would suddenly occur: Well, you will have 6,000 desytinas of land in Samara Government and 300 horses, and what then?…And I was quite disconcerted and did not know what to think. Or when considering plans for the education of my children, I would say to myself: What for? And I could find no reply at all. The questions would not wait, they had to be answered at once, and if I did not answer them it was impossible to live. But there was no answer. All this happened to Tolstoy at a time not only of enormous personal success, but also of great vitality and capability. physically I could keep up with the peasants at mowing, and mentally I could work for eight and ten hours at a stretch without experiencing any ill results from such exertion. Yet, in spite of this fruitful life and his remarkable talents and abilities Tolstoy says. I felt that what I had been standing on had collapsed, and that I had nothing left under my feet. What I had lived on no longer existed, and there was nothing left. Tolstoy’s account describes the existential crisis with penetrating clarity. It is a crisis in which the very basis of one’s existence—an existence which had been unfolding primarily along the personal dimension—comes into question. The map of the two dimensions of growth suggests the basic strategy for the resolution of the crisis. This resolution is found when the individual is able to expand the meaning of his existence beyond the boundaries of his own personality, so as to purposefully participate in the life of the whole. This can begin as he reorients his attention toward the greater life revealed by exploration of the transpersonal dimension. The period of the existential crisis is a particularly appropriate time to seek or renew contact with the transpersonal. Seen from the vantage point of the Higher Self, the existential crisis is precipitated by an increasing flow of superconscious, or transpersonal, energy directed by the Self toward the personality. In particular, as the energy of the Self increases, it attracts the personal self or “I” toward it. Before the existential crisis, the “I” was attracted primarily by the pull of the personality life and of the environment. The existential crisis occurs when the increasing pull of the energy of the Self becomes equal in intensity to, and therefore neutralizes, the pull of the personality/environment. Therefore this is a period of transition. It is like being suspended in space at a “zero gravity” point, in which the earlier meaning of the personality life has vanished and a new meaning has not yet appeared. So as the superconscious influence increases, the previously adequate sense of meaning begins to fade away, and a growing sense of “something missing” develops. What is missing is the realization of one’s relationship with the greater life—a relationship that now needs to be recognized and acknowledged. This reorientation toward the transpersonal dimension can take many forms. For some people, superconscious energies break through to their consciousness suddenly and spontaneously—sometimes with great intensity—and then lift them out of the crisis into what can become a major, life-changing experience. Such a dramatic, spontaneous resolution is, however, relatively rare. More often, the reorientation is gradual and involves our conscious and purposeful participation. Frequently, as the intimations of the approaching existential crisis are increasingly felt, past transpersonal experiences—which had been forgotten or even repressed, and had therefore gone unused—return to consciousness, and their meaning can now be actively explored and understood. This re-owning of past peak experiences can provide a door into the transpersonal dimension and help one reduce the intensity of the crisis or even resolve it altogether. As the crisis develops, people often experience a conscious urge for something beyond the world view they have previously accepted. They may develop a growing curiosity about spiritual matters, philosophy, the metaphysical implications of modern physics, parapsychology, the occult—anything that, being mysterious, one hopes will contain answers to the basic unsolved questions of life. It is important to realize that only some of the directions in which such a quest can be pursued are likely to be fruitful. Here, as spiritual teachers of all times have stressed, discrimination and motives are critical determining factors. In pursuing one’s spiritual path, one needs to practice discrimination in a number of areas, for example interpreting transpersonal experiences and inner messages, determining the suitability of working with a teacher, the appropriateness of particular spiritual practices to one’s needs, the usefulness of advice from friends and family, and the value of other influences and potential resources. As for motives, to the extent to which one is seeking spectacular phenomena, whether for their own sake, for a kind of materialistically motivated need for reassurance, or for selfish or dubious purposes, to that extent the quest is not a genuinely spiritual one. When instead one is seeking for a fuller understanding, an enhanced apprehension of values, a heightened realization of that intrinsic harmony which is ever emerging, then the quest is indeed along spiritual lines. If such a quest is pursued far enough, it will result in a reorientation toward the transpersonal dimension, and the existential crisis can then be overcome. Its resolution is found in an expansion of our perception of who we are and of the world we live in. In other words, we begin the process of disidentifying from our personality and of achieving a broader, more inclusive state of awareness and identification, one that includes our personality within a larger context. It is from this larger context that, as individuals, we can begin to meaningfully participate in the greater whole. This expansion of identification is the turning point in the crisis. Most often the first experiences of disidentifying from the personality and expanding one’s identification to more inclusive levels occur after some contact with the transpersonal dimension has been made, whether through a peak experience, or through a quickening of interest in spiritual matters. For when the transpersonal influence is consciously recognized, the expansion of identification is greatly facilitated. But sometimes, especially if the personality’s attitude is opposed to spiritual matters, disidentification from the personality needs to occur before conscious contact with the transpersonal can be made. This can make the resolution of the existential crisis considerably more difficult. One has to let go of past satisfactions and pursuits, the fruits of many years of growth—all that one was attached to—because it has turned gray and barren, and there is simply nothing else to do. And the difficulty is that this must be done even though at the time there seems to be nothing of value to put in its place. At this point one may feel that his life has been wasted, that all he has achieved is empty. The fear one then faces is that one’s very identity will be lost. But although disidentifying from the personality under such circumstances is a difficult step to take, we have in fact been prepared for it by a long sequence of lesser events that life provided for us. Whenever in the past we have given up an interest or a goal because it turned out to have insufficient meaning, we have in reality disidentified from it, and shifted our identification to a new one. With the advent of the existential crisis, we reach a further stage of this same process. Now the task becomes to disidentify from our personality as a whole. In this period of darkness, it is of great value to realize that we are already familiar in some ways with what is required of us, having successfully accomplished similar tasks in the past. Disidentification from the personality needs to be clearly understood. It does not imply in any way, as some mistakenly believe, that we are to destroy our personality, “kill our ego,” give up all our activities, resign from life, or take any similar action that would impede or even reverse the natural process of our growth. Disidentifying from the personality means recognizing experientially that our personality is not what we are but what we have—not the source of our identity, but our means to express that identity in the world. By disidentifying from it, we do not destroy or abandon it, rather we transcend its limitations, and the self-centered and separative tendencies they bring. An attitude that can be of considerable help in disidentifying from the personality is to deliberately accept as a possibility—as a hypothesis to be entertained and verified—the existence of a realm of higher meaning we do not yet perceive. We can purposefully decide to turn from a relentless insistence on meaninglessness (like that of certain existentialists) and in an open-minded way, look to see if there is something greater than ourselves. This attitude is no less realistic than the physicists’ search for the unseen principles of nature and the universe. Countless people have borne witness to the fact that as we attempt to disidentify from the limitations of our personality and search for what is more than ourselves, we become increasingly able to see the world as an interconnected and unified whole—one in which our personality can find its rightful place, just like everyone else’s. Then all which as an end in itself had lost its meaning, acquires a new and much greater meaning, because it is now recognized to be an intrinsic part of the larger whole. Things cleared up within me and about me better than ever, and the light has never wholly died away. Just how the change took place I cannot tell. As insensibly and gradually as the force of life had been annulled within me, and I had reached my moral deathbed, just as gradually and imperceptibly did the energy of life come back. So the existential crisis is, fundamentally, an opportunity to expand our sense of reality. Once resolved, it allows purpose, meaning and values to become part of our lives in a new way—as our personal life takes its meaning from a more universal, inclusive and lasting source. (When one reaches the existential crisis it is possible, although rather uncommon, for the personality to be impervious to the influence of the superconscious. This is especially so when a strong, well-integrated personality is fed by an overweening drive for personal power, and such power is seen either as the source of meaning or as the way to gain that which one considers to be meaningful. In such a situation, the existential crisis probably will not be felt very strongly, and the personality is likely to be well equipped to resist it. The resistance of the personality is greatly increased if one is working with a guide who does not recognize the crisis for what it is, and thus fails to encourage, or even allow, the emergence of the superconscious energies. One’s development may then tend to continue solely along the horizontal dimension. If followed for too long before making a stable connection with the superconscious, this path leads one in an antisocial direction, to seek more and more personal power, and can be harmful both for oneself and others. In extreme cases it can even lead eventually, to draw on superconscious energies and use them to achieve personal, separative goals, thus perverting their essential nature. steps toward such a synthesis, even what may appear to be relatively small accomplishments are significant, because we are becoming the conscious agents of that creative energy which underlies the development of nature and man. The great cosmic play of creation, one pole infusing and transforming the other, is being visibly enacted in our ordinary lives. Much more could be said about the joys of such accomplishments, increasing as they do with the magnitude of the reconciliations we are able to bring into being. But there is also another side to things, one which can accompany or alternate with the new sense of progress. At first, one’s contact with the transpersonal is necessarily imperfect, and therefore can generate difficulties of various kinds. Sometimes a transpersonal vision may be powerful and seem complete when it occurs, but later turn out to be lacking some all-important aspect, or be very difficult to interpret in practical terms. At other times, the vision may simply begin to fade and become more and more remote without one’s knowing how to recapture it. In other cases, rather than a sudden and full picture, one may have received only a sequence of faint hunches, flashes of insight, glimpses that appear sporadically over a considerable period of time, so that one can barely recognize or grasp them. Or still again, a sense of joy, harmony or love may pervade one and lift him so he can see life as more than the problems, the struggles, the doubts of his everyday existence. But then gradually this exalted state may fade, and things apparently revert to just what they were before—with an added sense of loss. It is generally realized that these periods of darkness, of aridity, doubt and uncertainty are common phases of spiritual unfoldment. But what often is not understood is that they are valuable and necessary to our development. In fact they are brought about, in many cases, by the Transpersonal Self in order to facilitate the eventual fusion between our personal and transpersonal natures. This is an important insight, because all too often our tendency is to feel that such withdrawal of energy is unnatural and therefore must be a punishment for, or at least the consequence of, our having failed in some way. This can cause us to search—sometimes frantically—for the mistake we need to correct. These difficult phases may in fact be the result of wrong action—or of failing to act on what we know is right—and identifying the cause and correcting the situation will then usually reestablish our superconscious connection. But at least as often, periods of darkness are normal phases of growth – analogous to the natural cycles of day and night. If we can recognize them as such, we will see that they are useful opportunities, and will be able to use them most effectively and also, in many cases, shorten their duration. While the specific purpose of such periods is unique in each situation, three common patterns are worth mentioning. perspective. He may be afraid to use his personality, is old powers, in case what he uses them for be inadequate or even contrary to his vision. He may even experience guilt at not knowing what to do. It will become apparent to him before too long that he needs, with enduring determination, to seek and apply the best available means of contact with the transpersonal. His personality can then be increasingly guided and transformed, as the light of what the transpersonal reveals becomes a steadier source of direction for him. Later, once this transformation is well underway, the purpose of periods of aridity is often to increase the sensitivity of the personality to transpersonal intimations. This the Self does, not by remaining completely silent, but rather by “whispering,” by sending us insights or hunches that appear when we least expect them, and that are barely above our “hearing threshold.” This leads us to pay closer attention, and develop an increasingly keen sense for such messages as we “hold still” trying to hear them. Finally, especially in the more advanced stages of development, an already well­established contact with the transpersonal may disappear altogether—sometimes gradually over a long period of time, sometimes suddenly at a crucial moment. When we need to act in such a situation, we have to depend only on our personality, without being able to tap the higher sources we had become accustomed to rely on. We need then to draw on our past experience, and on our best understanding of what we have already learned about the transpersonal realm. Fundamentally, it is a matter of asking, “If I were to face this situation with the benefit of the wisdom and love of the Higher Self, what would I do?” and of acting as much as we are able, in such a way. The purpose here is the reorientation and eventually the unification of the personal will with the Transpersonal Will. This unification is a culmination of the process of Self-realization—a process which began with the reorientation of the personality toward the superconscious. The reorientation that saved Tolstoy from his “moral deathbed” is a dramatic example of one person’s encounter with the transpersonal. It should not be thought, however, that transpersonal experiences are only the results of life crises, of pain and struggle, or that they are reserved to the exceptional few—great artists, scientists or religious figures. In actual fact, experience of the transpersonal dimension is nothing exotic or unusual. It is a characteristic part of being human. Their findings, which are consistent with those of a recent Gallup Poll, (G. GALLUP: Year 1976 Could Mark Beginning of New Religious Revival in America,” American Institute of Public Opinion, Princeton, NJ, 1976) are of considerable interest because of the quantitative, statistical approach taken in researching these experiences, and because the study is based on a large cross-sectional sample of the American population as a whole. It is also significant that the people surveyed described their experiences in ways that were similar to the autobiographical accounts of many great spiritual figures. I was sitting quietly in the kitchen after getting the kids off to school. I was alone in the house and in the quiet I began thinking about my life, where I was now, and where I was going. Gradually, I began seeing my life as one flow, a flow which was only one stream in the larger flow of life in the universe. Suddenly I was unexpectedly overwhelmed by an intense feeling of joy; I felt intensely alive and saw my life filled with meaning and direction. Mixed with the joy was a deep love – a love for my life, my family, and a love of humanity as a whole with its struggles to grown and change. I felt that all of us were moving toward this joy and love. Clearly, during her experience she moved into a state of consciousness beyond her everyday awareness, in which she saw deep meaning not only in her own life, but in the life of humanity as well. The experience was indeed transpersonal; in it she transcended her normal identifications, saw her connection to a larger system of life, and a deep sense of love and joy arose from feeling this connection. The orientation toward the transpersonal may begin in different ways and at different times. The various periods of life – childhood, adolescence, and adulthood – all have typical patterns of transpersonal activity that are well known, although not often recognized for what they are. A child’s intense curiosity and wonder about life as he sees his first snowfall or takes apart a flower are often examples of natural early interest in the transpersonal dimension. Even a very young child may sometimes seem the true philosopher, delving into the meaning of things, the nature of birth, death, space and time. An example was shared by a mother whose five year old son came home from school one afternoon, dropped his jacket and lunch box on the kitchen table and asked, “Is there anything to eat?” She gave him some cookies and as he finished eating, he very matter-of-factly asked, “How did all this begin…I wonder if it will ever end!” And then in the next breath said, “See you later, Mom, I’m going out to play.” And he was up and gone almost as quickly as he had mused about the nature of the universe. Spiritual orientations also frequently arise during adolescence, as a teenager becomes increasingly interested in the meaning and possibilities of life. His interest may be kindled while experiencing an expansive and joyous wave of feelings, or when faced with a life situation or a philosophical question that he thought he knew the answer to but found he really didn’t. He may become aware, sometimes acutely, of the confusion, pain and disorder in the larger world. He realizes more and more that the answers he had been given are no longer always right, or not always right for him. So now he must find new answers. He may seek out parents, teachers, friends, and others he trusts, to guide him and help him understand these mysteries. If his experiences and questions are treated seriously and with respect, his interest will be nurtured and grow. Then the emergence of his higher values and ideals can occur smoothly, and as his transpersonal nature develops, he can more easily integrate it with his personality. Too often, though, his questioning is responded to with embarrassment, condescension or even ridicule. When this is the case, he will feel that it is better not to bring up such concerns, and may keep to himself or even repress this whole area of his life. that builds up in the unconscious, spiritual realizations arise spontaneously as peak experiences. It is also not unusual for transpersonal interests to be kindled by a serious disruption in a person’s life, one that compels him to disidentify from much that he was attached to. A divorce, an accident, a natural disaster may shake apart so much that seemed stable and certain, that one is forced to ask, “If this can change, then what is it all resting on? What, if anything, can I be sure of?” Similarly, experiences through which a person comes close to his own death will cause him to question the significance of his life and to look for answers beyond himself. In general, transpersonal experiences have a reality about them which seems deeper than our normal day-to-day existence. They carry an intrinsic validity—a noetic quality—and convey a broadened sense of meaning and values. (Simultaneous with this sense of greater reality may come a seemingly paradoxical sense that one cannot possibly speak about the experience, that words fall short and can only point to the understanding. William James described this as the inefable quality of the spiritual dimension. A word of clarification on this point is needed. Many of the greatest mystics agree that experiences that reach a certain level—that of the Transpersonal Self—are suprarational, above the level of the mind, and therefore impossible to communicate in words or even to conceptualize correctly. On the other hand, it is well known that the transpersonal dimension is a subtle one. Our connection to it can be tenuous at first, and may have to be nurtured and deliberately strengthened. We can do this by first learning to recognize such experiences when they occur, then exploring the experience, whether through meditation , introspection, or other means, and finally, as we have said, by integrating the experience, by expressing in our life and activities what it brought us. When people turn to pursue their search for meaning along the transpersonal dimension, the results will vary greatly. For some the attempt is slow and laborious. For others the process moves quickly and spontaneously. Whatever the rate of progress, many people sooner or later go through a phase where they are able, for a time, to have increasingly frequent transpersonal experiences with decreasing effort. But because these experiences of transcendence are so fascinating, gratifying, even ecstatic, some people are gradually drawn more and more toward them, and may in the process turn away from their personality development and participation in the world. By comparison, the world and one’s personal existence in it may begin to look drab, ugly, even unreal. If at this point the individual’s personality is not sufficiently integrated, he may tend to increasingly neglect everyday life and activity. Eventually he may come to ignore his personality and its further integration altogether. This of course tends to further increase the imbalance between personal and transpersonal development. His whole life may become devoted to penetrating into more and more conscious levels. In his attempts, such a person will often find that he can best further his climb along the vertical dimension by utilizing one specific aspect of his personality—usually the one he is most identified with. If, for example, that aspect is his feeling nature—as is often the case—he will work single-mindedly on purifying, transmuting and harmonizing his feelings, and focusing them upwards towards the transpersonal. This is an approach which has been successfully used by the mystics of all cultures—and it can, indeed, result in ecstatic experiences of great power and meaning. In general, working for a time primarily on purifying, transmuting and harmonizing the feeling nature can be a valuable phase in the growth of almost anyone. But to more easily accomplish this, an individual may also push the other aspects of his personality—such as his physical needs, sexual drive or intellectual curiosity—out of the way, ignoring them, quieting them, or even forcibly repressing and “starving” them. The integration of the personality may then come to a stop—or may even regress. The mistaken assumption behind such a course of action is that if one can experience the transpersonal intensely enough, he will be able to maintain that state indefinitely, and live all his life in the higher consciousness thus achieved. One young man reported his difficulties in pursuing this exclusively vertical direction. He had a peak experience in which, he said, he perceived a transcendent goal, an ultimate reality, a point of consummation toward which he was moving. As he felt he was on the verge of becoming on with it, it eluded his grasp. Afterward, he was filled with reverence and longing for that vision. He felt enriched by it—was a more complete human being for the experience. He also had a strong sense that if he could only have “another experience like that,” he would actually achieve union with that transcendent focus, he would become it and be completely and permanently transformed. In fact, after strenuously following various spiritual disciplines, he eventually did have another experience where, in his words, he “went much higher” than in the first one. But still he was unable to fully bridge the gap between himself and that transcendent focus. He pondered his disappointment and took stock of what had been gained. The sense that one more such experience would lead to a permanent unification was even stronger in him. However, when the third experience at last occurred, despite the fact that “its beauty and power were far beyond” the previous one, the final consummation that had appeared “almost within reach” was not any closer than at the beginning. He realized then that no matter how much further he might go, and no matter how vividly he might see the grandeur of the universe, he would never “get there” in this way, never achieve the state of being he sought. As he recognized he was making no real progress toward the goal he had set himself, he entered a deep crisis, finding it unbearable that what he saw as the ultimate reality seemed to be forever beyond his grasp. This kind of experience—the futility of trying to achieve transcendent unity by leaving behind the everyday—is not uncommon. It is as if one sees an image, a reflection of the Self and moves directly toward that, not realizing that it is a reflection, that the real state of unity inherent in the Transpersonal Self, and the joy, the serenity it brings about, must necessarily include the integration of what one is trying to leave behind. If one persists exclusively along the path of pure transcendence, the increasing awareness of what appears to be an unbridgeable gulf between oneself and the transcendent goal will lead to the crisis of duality. Like every other crisis, once correctly understood, the crisis of duality is fundamentally an opportunity for growth. The one-sided, single-minded focus along the path of transcendence that leads to it can be a necessary, appropriate and even important phase of development. But sooner or later, the inevitable pull of nature to reestablish balance will require the shift of one’s orientation to include the personal dimension as well. realization of the need to include the personal dimension, can be experienced in a number of different ways. One we have seen—the young man who could never quite achieve the experience of unity with the transcendent. Others report that eventually their higher experiences stop happening, and after a period of depression they realize both the necessity and the wisdom of accepting their personality and the world in which they find themselves. After this acceptance, contact with the superconscious gradually returns. Another experience of reorientation – one that is perhaps most characteristic, that gives the best insight into the nature of the reorientation itself—has been reported by a mystic who had reached great purity in his love and devotion. The more he gave his love to God, the more that love brought him nearer to Him. One day, as he was projecting his love upwards, he heard God explain, with great gentleness, that in fact He was the Source of Love, and the mystic was actually receiving it from Him and reflecting it back. So He did not need the mystic’s love, but humanity did. And now that he had learned to receive it so well, God said, it was time for him to learn also to transmit it to other human beings—to give it to those who were further away from it, or not yet able to reach for it directly themselves. Once having made the decision to reorient his life to include the personal dimension, the individual typically encounters a number of problems and opportunities. After making significant progress in exploring the transpersonal realm, he has now turned to the task of expressing his vision in the world. Full of that vision of the way things could be, he may approach the task of transforming the world with great confidence and enthusiasm, assuming 1.) that he can do it along and 2.) that he can do it this week. At first, he may believe that all he needs to do is tell others what he has seen of the right way to do things, and they will speedily and gratefully follow. When they do not respond, he may begin to become more zealous, assailing and haranguing them. With the best of motives, he may even get angry, take a militant approach, and proselytize to the point of fanaticism. Clearly, if he is to make progress and be effective, he must accept that the world is slower and more resistant in responding to his vision and ideals than he had expected. This naïve expectation is most often due to the lace of a working sense of proportion. A good sense of proportion is always important, but at a certain point in our lives it becomes essential. It derives from such factors as a clear sense of values, an understanding of the relationship between causes and effects, a recognition of the various patterns and levels of organization, and a sense for the meaning of the various trends and processes that are emerging in ourselves and in the world. Developing a working sense of proportion is as essential to expressing our vision effectively as knowing the scale factor of a map to the successful completion of a traveler’s journey. The parallel is important because from one important point of view, transpersonal experiences often are visions of a map, plan, or “ideal model” and not of the actual territory that needs to be traversed. This fact often goes unrecognized, however, because transpersonal visions can be so vivid, immediate and all engrossing that they are likely to be experienced as much more real than “ordinary reality.” Here again is the underlying paradox: what we experience may in fact exist now in the transpersonal dimension, although it may be only an ideal, a potential, in the dimension of daily life. So at first we may not perceive correctly the proportion between the experience of the vision (the map) and the scope of its expression and implementation in the world (the territory). For example, one may suddenly have the direct and powerful experience of love as the sustaining and unifying principle in the universe, together with the clear, intense, and quite accurate perception that in order to cure the ills of the world what we need to do is to “be more loving.” But then as a result one may expect to make this happen simply by telling everybody to do it. So it is important to recognize the need to cultivate a sense of proportion and patience, and then set about the task of actualizing one’s vision in a realistic and effective way. As our sense of proportion develops, we become better able to see that many needed changes are already taking place, that the world is evolving, and that there are many forces at work for positive transformation. One woman, deeply impatient with the world, had an imaginary dialogue with it. The world told her, “You don’t need to fell responsible for solving all my problems—I’m already working on my problems—but I could use your help.” In examining the world from this perspective, one can get a clearer sense both for the positive trends that are already occurring and for the further steps that are needed. Then one may see how he can contribute to this process and what changes he needs to make in himself in order to make that contribution possible. Thus the individual who becomes filled with a love for mankind, or who has clearly seen that all people need to become more loving, may discover that it takes considerable examination of the nature of love, and many changes in his own life for him to actually become more loving himself. For example, he may discover that he needs to overcome his fear of loving and being loved, and choose to do work on personality patterns developed in childhood. Clearly, experiencing love in a peak experience is very different from making one’s personality and life an expression of love. To take another example, the person who has a vivid insight into what society would be like if it recognized our deeper humanness, may see the need to improve our social structures. In looking carefully, he may see that one of the things needed is a more positive approach to the development of the human being. He might then decide that if children were raised with their higher potential in mind, many of the ills in society would fall away, as we produce healthier human beings. Understanding now the scope and the complexity of the task of actualizing his insight, he might start by searching out the best of what is already known in psychology and education, and begin to develop his own understanding and knowledge with which to create a better educational approach. By developing a realistic plan in this way, the person who had been oriented toward the transpersonal dimension moves closer to making his vision happen. While taking time to balance transpersonal growth with personal development may seem, at first, to be a sacrifice of the glories of transcendent experience, as the needed personality functions and skills are gradually developed and the vision begins to become a reality, one will gain access to vaster reaches of the transpersonal than ever before, as well as an increased communion with his fellows and a sense of lived, personal participation in the evolution of the larger whole. As we have seen, no matter which path we have been following, sooner or later we experience a compelling pull to include both the personal and the transpersonal dimensions of meaning – the horizontal and the vertical, self-actualization and transcendence. Adopting such a fully integrated approach to living, encompassing both dimensions and uniting them in one’s life, is nothing less than reaching toward Self­realization. To best proceed along this new, most inclusive path we will need to comprehend the underlying relationships between the personal and the transpersonal aspects of our nature. Major psychological thinkers from Kurt Lewin to Sigmund Freud have repeatedly pointed out that all psychological relationships are fundamentally energetic in character. Thus the fundamental interaction between the personal and the transpersonal can itself be best understood dynamically, in terms of energy. Let us consider in some detail the phases of superconscious energy flow through our personality, and the means by which that energy can be enhanced, enabling us to move toward Self-realization. Self-actualization—growth along the horizontal dimension—consists essentially in coordinating and integrating the energies of the personality, and in the emergence of a strong self-identity, or “I,” capable of effectively expressing those energies. Transcendence—progress along the vertical dimension – consists primarily in reaching for the energies of the superconscious, which then flow into, and pervade, the personality. Development along the path of Self-realization is a process full of adventure and joy, one which results in a continuous, unimpeded flow of higher energies through the personality and into the world. This has been recognized from earliest times as the developmental goal of the human personality. It is implicit in the etymological meaning of the word “personality” itself, which goes back at least as far as the masks of ancient Greek drama. It derives from per-sona— “to sound through” —thus implying the flowing through the personality of a more essential, or higher energy. To eliminate the obstacles within our personality so that the transpersonal energy can flow through more freely and without distortions. To reorient our personality patterns and habits in harmony with the superconscious, so as to reach upward and increase the flow of the energy that can be received. To develop the needed channels and skills by means of which the energy can be harmoniously expressed. psychological “blocks” of various kinds. So they remain in our superconscious, where they steadily build up and form actual reservoirs of accumulated energy. As time goes by these energies will slowly but happily for us, inevitably, increase their potential, and thus their pressure against the obstacles that are in their way. These patterns and traits can be conceived of as organized structures in our personality which resist the flow of higher energy. Rather than transmitting the energy in its original form, they absorb it and break it down into “lower” forms. For example, an inferiority complex can absorb and transform the superconscious energy of love into feelings of possessiveness. A growing awareness of undesirable traits to be corrected is often a first sign that superconscious energy is beginning to flow into the personality. If we do not take adequate steps to correct such limitations, ore and more of these higher energies will be absorbed and transmuted into painful “lower” feelings, for example shame or guilt. Such feelings of inadequacy, sometimes developing to an acute stage, are frequently reported by many people as having preceded some of their most important spiritual experiences. Often, as the intensity of these negative feelings grows, it forces us to mobilize our resources and eliminate the undesirable patterns from which the feelings originate. But even if we are unable or unwilling to do what is needed, the process of eliminating obstacles can continue, and be achieved in another way. As the “heat” continues to increase, it eventually can reach the point of a real burning away of the obstacle—the actual breaking down of the pattern. Interestingly enough, the symbols of “purifying fire,” the burning ground,” and other beneficial aspects of fire in general, are very common in certain kinds of transpersonal experiences and in much mystical literature. And in alchemy, fire itself is a fundamental principle of transmutation and sublimation. Spiritual “fire” can thus be considered not only as a metaphor but also as a psychological reality, a true correspondence to the physical process of combustion. It should be pointed out that we experience this process as painful only as long as we are either unaware of the undesirable pattern needing to be changed, or psychologically identified with that pattern. Thus psychological pain is often simply an alarm bell, a means of capturing our attention, a warning that all is not well and that creative action of some kind is needed. Once we recognize the cause of the pain, succeed in disidentifying from its source, and cooperate with the forces within us which aim at remedying the situation, then the same process is experienced as liberating, uplifting and joyful. We have seen how energy accumulates in the superconscious when its flow is impeded by obstacles. The amount of energy that is stored, and the ways it can be released by removing the obstacles, differ for different individuals. Two factors are important: the extent to which the Transpersonal Self turns its attention “downward” toward the personality thus directing more superconscious energy toward it, and the extent to which obstacles in the personality resist the flow of that energy. many people in our Western society, at the point when they consciously orient themselves toward spiritual pursuits. Because of obstacles caused by the materialistic influences of our culture, many people will turn to the transpersonal only after considerable pressure has built up within them. This is why techniques to remove obstacle and release blocked energy, and emphasis on catharsis, breakthroughs and peak experiences, have become increasingly widespread and successful in recent years. For many, such approaches have been appropriate first steps in purposeful spiritual development. But eventually most of the superconscious reservoirs are discovered, and the energies stored in them released. Today, increasing numbers of people have reached this stage. They have had a sequence of breakthroughs and peak experiences which helped them, sometimes considerably, in their growth, but after a few months of years the intensity of such experiences has tapered off. None of the familiar techniques now yields the old results, and gradually the process comes to a halt. What is needed now is to reach beyond the spent reservoirs, to the actual sources of energy in the superconscious and increase their flow—while continuing to eliminate new obstacles to that flow as they become apparent. One now enters upon a new mode of development, one that will tend to be less dramatic and may appear to be more laborious, but which will produce over the long run steadier and more serene progress, and ever more significant and rewarding results. The difference is due to the special dynamics by which the release of transpersonal energy occurs. Fundamentally, this release is beyond our direct control. This is in sharp contrast to the more familiar process of personality growth and self-actualization. Especially in its more advanced stages, personality growth—including the elimination of undesirable patterns—is more and more the direct result of conscious decisions and deliberate action, of which we become increasingly capable as we realize our identity as the “I,” the personal self. From the vantage point of the “I,” we see a personality pattern that needs to be changed, and can then take direct action to make that change. Transpersonal unfoldment is different. While we can do much to deliberately facilitate the superconscious energy flow and to maximize its beneficial effects once it has been released, the release itself is initiated by an act of the Transpersonal Self. This has been recognized in many spiritual traditions, and expressed with such concepts as that of Grace. But these concepts have frequently been misinterpreted—despite much experiential evidence and spiritual teaching to the contrary—as representing the action of an unknowable, unpredictable, mysterious and even capricious Source, which may bestow upon us its guidance and help, but which we can only wait for hopefully, without being able to influence its action in any significant way. Yet the similarities that cut across the many different types of spiritual experiences and methods of transpersonal unfoldment are a strong indication that the life and processes of the superconscious realm proceed according to universal principles and laws that are reliable and can be increasingly understood and trusted, just as is the case with the laws governing the physical world. One of these principles can be stated in this way: the Transpersonal Self is, in its own high sphere, an Ontological Reality, a center of Being, awareness and will. It is therefore more than a source of energy: it has intentionality—including the enduring intention to send us the energy we need to grown and evolve. In the deepest sense, we are that Self; it is our true nature, although we may not yet experience and live that fact. It is to bring us to this realization, to assist us toward eventual unification with it in consciousness and action that the Self wills us the energy we need. Accordingly, the problem of how to “convince” the Higher Self to send us its energy is an artificial one. The Self already has the fixed intention to send us superconscious energy, and it will do so just as soon as we are willing to receive it and capable of using it constructively. So what is needed is to establish the right conditions, the right orientation in our personality—and over this we indeed have much real control. These facts have been repeatedly stated in the major scriptures and by the greatest mystics. In Christianity, for example, it is the fundamental meaning of the affirmation, “Seek and you will find; knock, and it will be opened to you.” (Matthew 7:7). In other words, as the personality orients itself toward the Self with suficient intensity and focus, the response of the Self inevitably follows. Of course, like everything else in nature, the evocation of superconscious energy into the personality is a gradual process, one that proceeds according to the ebb and flow of inner rhythms of maturation. As a consequence, when we consciously and earnestly turn toward the Self, its response may not follow immediately, and may not be in the form we asked for. But when the response does come, it comes with the benefit of the Self’s deep wisdom, and therefore—as many have had occasion to acknowledge after the fact—at the time and in the particular form we most need and would in fact have chosen if we had known enough. After we have made the decision to reorient ourselves toward the Self, there are many techniques we can use to achieve that goal. 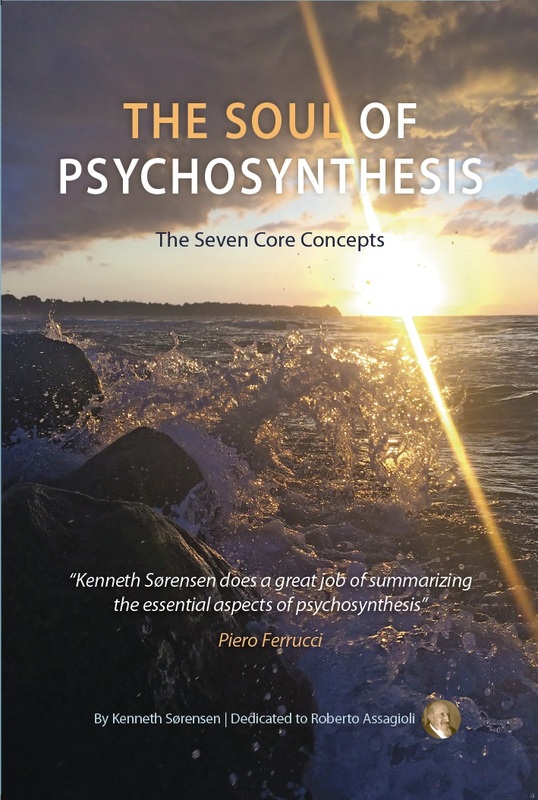 Let us consider the principle underlying many of the most common and effective methods: It is to form in our consciousness patterns that can reverberate to corresponding patterns in the superconscious and thus “evoke” their energy, and draw it into the personality. 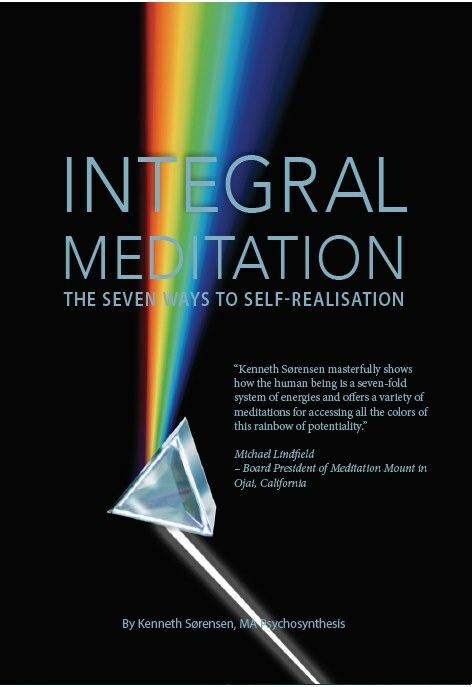 Establishing such a reverberation is a primary effect of all useful forms of meditation, prayer and certain types of imaginative techniques. A practical example is the technique of “Dialogue with the Higher Self.” Here the image of the Wise Old Man is a mental pattern which, experience has shown, can reverberate to the corresponding energy of loving wisdom in the superconscious. Our desire for the Wise Old Man’s answer is emotional energy which radiates through the mental pattern to the superconscious. Our image of the Wise Old Man then becomes capable of being “heard” or “seen” by the Higher Self, which responds appropriately, making the image “alive” with its own energy. “universality,”), or ideas (“Infinite space is the only space there is,” “Time must have a stop,” “The most incomprehensible fact of Nature is that Nature is comprehensible”). This reverberation becomes a cbannel or path through which superconscious energy can flow. This energy then has an integrating, synthesizing effect. It strives to bring the personality—or that aspect of the personality into which it flows—to a higher level of organization, one that will contain patterns even more responsive to the superconscious energy itself. The formation of reverberating patterns can also be initiated by our Higher Self. For example, it is well known that transpersonal symbols can emerge spontaneously in our consciousness at times with dramatic effect. And as we have seen, at the core of the existential crisis is our experience of a spontaneous, impelling urge to find answers to the most basic, most universal questions. But whether the process appears to be initiated from below, by action of the personality reaching toward the Self, or from above by an impulse of the Self sending its energy toward the personality, the result will be the same: action by one side will evoke the response of the other side, in a two-way interaction which builds upon itself. This leads to a “virtuous circle” through which personality and Higher Self interact more and more with one another, creating a growing reverberation, a path through which the superconscious energy increasingly pervades the personality, as the personality proceeds to reorient itself in harmony with the superconscious. This deeply fulfilling interplay usually begins long before one recognizes it for what it is, although it may be apparent in its early phases to an experienced observer or guide. Much evidence, such as the Greely study discussed earlier, indicates that this profound interaction is in fact present and growing, although still largely unrecognized, in a considerable proportion of the human beings alive today. There is also a complementary aspect to this fundamental reorientation. As we turn more and more toward the Self, we find that we need also to turn away, and disidentify from certain negative personality traits—for example selfishness, or pride—that form patterns incompatible with the flow of superconscious energy. Here a choice is required—a choice between two aspects of our nature that may be in conflict with one another. But choosing to align ourselves with the more spiritual aspect does not have to imply the rejection of the other. On the contrary, that choice often gives us the opportunity of transforming it, as we have seen, in such a way that it too can then become a channel for transpersonal energy. irrevocably align ourselves with our higher nature. To bring about this culminating alignment we find that we need the help of our Higher Self—a help that we must ask for by drawing on the totality of our resources. In so doing we disidentify fully from those tendencies of our personality that would separate us both from our fellow men and our higher nature. Achieving this consummating act of disidentification—an act of will which is made possible by many earlier efforts and numerous small achievements—is the necessary condition which finally enables the Self to reach us with the fullest impact of its energy. As a result we achieve complete identification as the Self, and the realization of Being. The energy of the Self then pervades the remaining parts of our personality that still oppose it, transforming them, and integrating them with the rest into a harmonious, unified whole which becomes our willing instrument of expression in the world. Fortunately for us, we do not have to await this culminating transformation in order to express the energy of the superconscious: we can and need to express it as we go. We have seen that enabling such energy to flow through the personality is a basic aspect of the entire process of Self-realization. The expression of this energy may often be unconscious at first, in the same way as its reception can be. One of its first visible manifestations is a broadening of our sense of responsibility. Typically, this develops into a rising concern for, and dissatisfaction with, the existing state of things—whether in our environment or our personality—and a growing urge to improve them. This urge for improvement according to the best we know becomes increasingly conscious, taking on greater meaning, and becoming a central purpose of our life. Eventually, it is also recognized to be a central purpose of human and world evolution, of Life itself. In essence, the way we express the energy of the superconscious is by making our patterns of action more and more consonant with the new vision and the transpersonal qualities which are becoming a normal part of our conscious existence. As we do so, we gradually transform the patterns of our environment, so that they too become more in tune with the superconscious energy and better able to receive it. Whether it be the patterns of our relations with those near to us, of the groups to which we belong, or of the social institutions in which we participate, the influence we have on our environment becomes increasingly harmonizing and integrating. This is because it is intrinsically the same as the influence that the superconscious has on our personality. We are dealing here with two successive phases of the same process: the flow of energy between two reverberating patterns. Our perception of this process is primarily from the receiving end of the flow in the first phase (from the superconscious to our personality) and from the sending end in the second (from our personality to the world). These two complementary vantage points give us a broader perception and a deeper understanding which ahs practical usefulness, because many of the principles, dynamics and laws that apply to one phase apply to the other as well. able to reach the personality yet lacks the channels to proceed further? As long as it is not expressed in action—keeping the flow through the personality going—the energy will, once again, accumulate—but this time within the personality itself. Eventually, it will create a congestion that will actually prevent further inflow from the superconscious. Interestingly, this congestion is often experienced as a state of emptiness and aridity quite similar to the experience of being cut off from the energy source. This is because when we experience energy, what we experience is not so much its intensity as its rate of flow. (This is the case for the awareness of superconscious energies—which represent the majority of people’s transpersonal experiences. The experience of the Transpersonal Self (and of the “I”) on the other hand, is complementary: it relates not to the rate of energy flow, but to its intensity or potential.) And when the personality is congested no energy is flowing through it, just as when it is cut of. Understandably, we are then likely to mistakenly interpret the experience of a diminished rate of flow as a lack of energy. As a consequence we may seek to draw more energy from our superconscious, while instead what we need to do is to express the energy we have already received. This important but little recognized fact can help us to understand and work through many common difficulties along the path toward Self-realization. It is a matter of determining whether the main obstacles to the flow of energy are between the superconscious and the personality or between the personality and our environment. The latter is usually the case when our orientation and the focus of our interest have been, for a considerable time, primarily toward the transpersonal dimension. In fact, the crisis of duality often turns out to be an extreme case of this situation: an acute energy congestion in the personality. As we have seen, it leads to a fundamental reorientation, through which the limitations to the expression of energy are recognized and overcome. Throughout history, mankind has used a very wide range of methods to reach for superconscious energies and facilitate their flow and expression. Among these methods we find the myriad forms of prayer and of meditation: chanting, dancing and rituals; the many types of yoga; fasting, and other ascetic practices and disciplines for the body; purification and sublimation of the emotions; mental training; group experiences and activities; different kinds of psychotherapy and a variety of approaches to action and service to one’s fellow men. In older times, such methods were known only to an initiated few, who were also limited by the cultural traditions of their particular society. Today, because of the rapidly growing knowledge in such fields as psychology, sociology, anthropology, history and comparative religion, combined with the modern communications explosion, these techniques are becoming increasingly accessible to every person, and in greater quantity than at any other time in history. address only one part of the overall process of Self-realization. Thus they may be very well suited to one’s needs during a particular phase of growth, but not during another. Clearly, such techniques can be effective, but only temporarily. (However, if the focus of a method is on shortcuts or quick results for their own sake, it may have dangerous or even harmful side-effects. For example, striving to increase an already adequate inflow of superconscious energy if we have not yet learned to utilize what is available, can be irresponsible and dangerous – even though, because of the inherent synthesizing nature of the higher energies, the results may still turn out to be positive. There are also popular methods, notably some which focus on the physical body (special diets, taking particular postures, and so on) that can have a useful part to play in preparing one’s personality to handle superconscious energy, but cannot in themselves get that energy to flow. So these can be useful at the right time, if used in conjunction with other techniques. But by themselves they are eventually sterile, and often lead one either to discouragement, or to the illusion that just because one is making a considerable effort, he must be making progress.) There is in fact today a growing number of people who have become involved in one method of growth after another, often deriving benefits from each, but in each case eventually gaining all the particular method had to offer them, and finding the need to abandon it and look for something else. Reaching upward toward the superconscious, through various methods of meditation, visualization and prayer. Understanding the nature of the superconscious, our personality and our world, so as to be able to increasingly harmonize them with each other. Service, or the expression of the best we know so as to achieve the greatest good. Let us examine each of them, and some of their main methods. function is directed toward our higher nature or, through it, to even higher realities or powers. It is a bringing together of the many divided aspects of our emotional nature, first through desire, then aspiration, affirmation, dedication and gratitude. Consequently, prayer has a harmonizing and transmuting efect on our feelings. Whether or not in our prayers there is the conscious desire that we will obtain something or that it may “descend” on ourselves or others, the upward projection of our feelings has the effect of “lifting” our center of consciousness in some measure onto the subtler levels of our inner world. It is a process of elevating our feelings and desires, thus transmuting them into aspiration toward higher goals. This elevating process can lead to an appreciation of the beauty and wonder of the world around us. We might call it “joyous admiration” of the unknown. Life or Reality which has created and continues to sustain the universe and all its component parts – including ourselves. It is not surprising that many people who do not think of themselves as “religious,” or who would not literally subscribe to the beliefs inherent in many forms of prayer, do in fact pray. Imaginative techniques are another means of reaching upward to contact realms of superconscious inspiration and insight. These techniques are based on visualization, the conscious and deliberate use of images. It is by visualizing the appropriate image or symbol that we establish with the corresponding superconscious pattern a reverberation through which the needed energy can flow. The visualized image then takes a life of its own, and the energy reaches our personality with beneficent results. This purposeful use of the imagination is particularly valuable owing to the breadth of its effects. Because it utilizes our mind as well as our feeling nature, it can tap a very wide range of superconscious energies, and can be used with great flexibility and precision. For example, while the symbols that are formed by our imagination are often polyvalent—carrying many meanings, reverberating to many energies—and therefore full of surprises in their effects, they also can have selective properties and specialized uses, giving access to specific qualities of transpersonal energy. The ascending flame, the sturdy rock, the tranquil mountain lake and the energetic whirlwind, are four such symbols taken from nature which can be used to evoke and explore corresponding aspects of our transpersonal nature. Imaginatively evoking and then focusing on the flame can help give us insight into the aspiration in all things for what is better. Contemplating the symbol of the rock can put us in touch with the firm basis and order underlying the apparent flux of existence. The mountain lake may speak of the serenity behind all movement. And the whirlwind may call up that great power and motion of which we are all a part. What we visualize conditions and affects our feelings, thought, and actions. Therefore as we contemplate such symbols and experience their meaning, our own nature itself can be gradually transformed. Meditation, in one of its most basic forms is well described in the following account about Robert Frost, written some time ago when the poet was still alive. Freshman Frost looked at them and replied, ‘Gnaw bark.’ Thereafter, they left him alone. Actually, what Frost was doing in the woods was meditating. He still takes long walks and he still meditates. In part, it is his ability to do so which makes him America’s greatest living poet. There is one kind of meditation which is passive, a quiet sinking into the self, a sort of contemplation. But with most of us, what passes for thought is a purposeless stream of consciousness, like an uncut motion picture with our own confused inner dialogue attached. Robert Frost’s kind of meditation is neither passive nor meaningless. It is directed, tenacious and purposeful. He is able to take a word, or an idea, and hold his mind to it while he looks it over from all angles, turns it inside out, dissects it. By doing so, he sees new aspects, new meanings, new beauties even in tired and timeworn phrases. This focused and purposeful type of mental activity is one of the most effective forms of meditation. It has enabled men like Einstein or Teilhard de Chardin to gain direct awareness of what they called the “Universal Mind.” Its patient and regular application has proven invaluable in establishing a rich and reliable channel between the personality and the superconscious. This channel can enhance our perception of reality in many ways. When the energy induced by contact with the superconscious flows into our minds, we experience flashes of intuition , illuminations and a wider and more inclusive understanding. Our consciousness is lifted toward this broad perspective, and the events and problems of our own existence and of the world then make increasing sense as we begin to recognize the deeper patterns underlying them. We begin to see the evolving whole, its meaning the meaning of our role in it as individuals. But meditation can lead to more than purely mental activity. For example, it frequently calls down energies which are also received in our feelings—energies which can uplift our emotional nature. Through meditation we can come in touch with such transpersonal qualities as joy, beauty, compassion or serenity, and we can contact the underlying vitality and sweetness or life. Meditation, increasingly sustained by the power of our will, can be deliberately combined with the focused energy of our feelings in a powerful and synergistic method that enables the fullest kind of access to our higher nature. The development of a reliable and inclusive understanding, which grows as we grow, is the second essential aspect of the integrative path of Self-realization. It is the understanding of the nature of the transpersonal realm, of ourselves as personalities, and of the world in which we live, in light of our best awareness of the purpose of the larger whole. It can be achieved by seeking the deeper meaning, the hidden causes of outer events. If, for example, we understand the world as moving toward transcendent unity, then we will examine particular events to see how they relate to that unity. Do they, as is true in the case of many historical occurrences, reveal obstacles to evolution with which individuals and society must deal? Or do they indicate positive and growing trends which we will choose to encourage and support? Events having great impact on society—like the Renaissance, the American Revolution, the Great Depression, and such contemporary ones as the Civil Rights Movement, the Vietnam War, or Watergate—can be examined in this way, as can events and turning points of a more personal nature. It will be seen that study of the outer world and the inner world are parallel and complementary. We can then use our understanding more and more to bring our personalities and the world into meaningful correspondence, or reverberation, with transpersonal reality. In this way, the generalized visions we have attained in our transpersonal experiences become particularized, and can be practically applied to ourselves, society in general, and our part in it. “harmlessness.”) The issue is not only whether a certain idea, principle or value is good or bad, true or false, but even more, that we cannot truly make it our own, if we absorb it without understanding it. individual’s inner resources and responsibility, and guide him to rely more and more on himself, and eventually on his Self. While this orientation is rapidly spreading today, it is far from new. It has always been at the core of the greatest spiritual teachings, and was, for example, a central teaching of the Buddha at least twenty-five centuries ago. This action, abundant and according to one’s best vision, is the essence of service. It completes the path through which the superconscious energies can flow, in the same way as completing the circuit at an electrical power station energizes and illumines a city. Just as breathing is a natural activity of our body, service is a natural activity of our Higher Self—and at a certain point of development, it becomes natural to the personality as well. Its precursor in the personality is the urge to make things better. This is perhaps our most human tendency, that which most clearly distinguishes man from animal. And as we make contact with the superconscious and begin to understand the larger whole as it is and as it is evolving, we are spontaneously drawn to use our energies to assist that evolution, to help the gradual work of perfecting man and his world. We recognize that service in line with our transpersonal vision is the most effective way to make things better—therefore the best, the most meaningful to do. We can also be drawn to service before having made a clear contact with the transpersonal, perhaps out of a sense of obligation or guilt, or following the example of others, or feeling for the pain of those in need. Many people are motivated in these ways at first, and much that is good and of real value has been accomplished out of such motivations. But in the long run, if the transpersonal energy is missing, difficulties will occur. If one gives more and more of one’s energy, the need to refill oneself will inevitably emerge. If one acts only out of an emotional urge, without a clear vision and plan, one may find that the results, although worthwhile, may not be commensurate with one’s effort. Increasingly, there will develop the sense that our work is more difficult, more unconnected than we instinctively know it should be. We feel that something is missing, which needs to be found. What is missing, of course, is our connection with the transpersonal vision and source. And as we search for what is lacking, we will reorient our personality and make that connection possible. As our vision and knowledge of the whole then becomes clearer, and we become able to express the energies of our superconscious as well as those of or personality, we can serve more freely and energetically. We see the forward moving currents in the larger world and we are nourished, sustained and strengthened by them – and by the knowledge of their inevitable triumph. Our feelings and our mind become aligned with each other and with our higher nature, and the work of perfecting the whole then becomes at the same time the most reasonable and also the most desirable thing we can do with our lives. This leads to a new and more realistic perspective on our own growth. We discover that there is no contradiction between serving the whole and developing our individuality, because as we serve the whole we also develop our unique gifts and overcome our particular limitations. Gradually, our individual growth becomes integrated with our commitment to do useful work in the world. But no longer will we strive to improve our personality for its own sake. We see clearly that our personality could be improved, but we also see that there is an almost endless possibility for improvement. Although there are many ways our personality could grown, and many limitations we could get rid of, we find it most practical to work on some and postpone dealing with others on the basis of what specific services seem particularly right for us to do. The man who is shy but who sees that having direct contact with people is an intrinsic part of his next contribution, will choose to work on his shyness. But another shy man, one who sees that writing is his next best vehicle, may ignore his shyness for the moment, and work on other limitations like a lack of persistent will. Interestingly enough, people invariably report that after having made their individual growth dependent on the needs of their service, not only did that growth not slow down but rather it gained increasing breadth, momentum and ease. The apparent paradox is resolved if we keep in mind that the commitment to serve our larger vision and express our transpersonal values in action calls for the sustained flow of superconscious energy through our personality and out into the world. Thus service becomes the most effective and most direct way to organize the patterns of our personality in harmony with the superconscious, so as to best transmit its energy. And that energy will now work with us—and also spontaneously, by itself—to remove blocks and clear the way. The integrative path of Self-realization has in it, then, an inherent joyousness. It is the joy of becoming who we really are by living our higher values—the joy of Self-expression. It arises from the increasingly immediate sense of our true identity, as we learn to manifest it in daily life. We realize that as the Self, we are one with the larger whole, that our essential nature is what we would have to describe by such words as “transcendent,” “immortal,” “divine.” Yet we deal with such joyous realizations realistically, because we also understand our need to progressively cooperate with and find our place in the larger context, as it is continuously revealed to us. With this double perspective, this “bifocal vision,” we see our own spiritual dignity and essential divinity on the one hand, and on the other our need to grow in order to express these qualities. We see the essential divinity underlying the whole of the world’s process of growth, and the fundamental rightness of helping that immense work forward as best we can in the time we have. As we bring that knowledge into our lives, what results is a spontaneous resolution of contraries. Work and play were earlier experienced as antagonists, then we “time-shared” between them, and now they tend to merge so that one’s work in service comes to seem more “right,” more authentic, and at the same time more satisfying and enjoyable than anything else. The dichotomy between self and others, between responding to others’ needs and taking care of one’s own disappears, as one acquires the practical wisdom to see the intrinsic legitimacy of both and the relative priority of each, from an objective perception of the circumstances at any given moment. With all this comes maturity—not the drab and mere “getting older” that is often falsely taken to be “maturity,” but something rich and ripe—an enlightened maturity, full of joy and will, acceptance and discrimination, wisdom and love. We may well end with Goethe’s thought: “Everything that changes is a symbol.” In other words any action, habit pattern, feeling, thought or word, all processes, indeed our life as a whole, can be seen as symbolic patterns. As we learn to live the patterns of our life according to our best values and vision, these patterns become more attuned to the higher patterns of our superconscious energies. The Hermetic aphorism, “As above, so below” becomes then not only an inclusive description of reality, but also a fundamental method of individual unfoldment, and at the same time an affirmation, an imperative, a way of life. As we increasingly identify with the whole and help to create it, any sense of separateness, of alienation, gradually fades away and is replaced by a certain knowledge of being at home, indeed, of being at one, both with ourselves and with the world.